The Yamaha YAH203S is an ideal instrument for musicians to develop their skills with. The yellow brass core produces a range of warm tones with exceptional clarity, which is ideal for student musicians. The tenor scale has a slightly smaller size, making the YAH203S suitable for younger musicians. This model’s stable intonation means your notes are accurate and balanced across the entire frequency range. The silver plating has a classic look, whilst also having a comfortable feel. This model includes a lightweight bag for optimum portability, and a mouthpiece setup for immediate use. The YAH-203 incorporates many of the design details of Yamaha's top model horns, and shares many of their tonal characteristics. This student version is very solidly and reliably built - a very worthwhile investment for those looking for a instrument on which to begin a long musical career, or for hobbyists serious about their playing. The well-projected sound will make sure this tenor horn can assume its rightful place at the heart of most brass bands or brass quintets. Yamaha orchestral instruments represent quality and durability to musicians around the world, building on a reputation reaching back into the 19th Century. Their beginner instruments are respected as superb introductory instruments for those serious about making music, while their professional models have all the custom features and design tweaks necessary for musicians at the top of their game. The tenor horn size has a deep, resonant sound that adds a powerful low end to ensembles. This model is tuned to the typical Eb key. 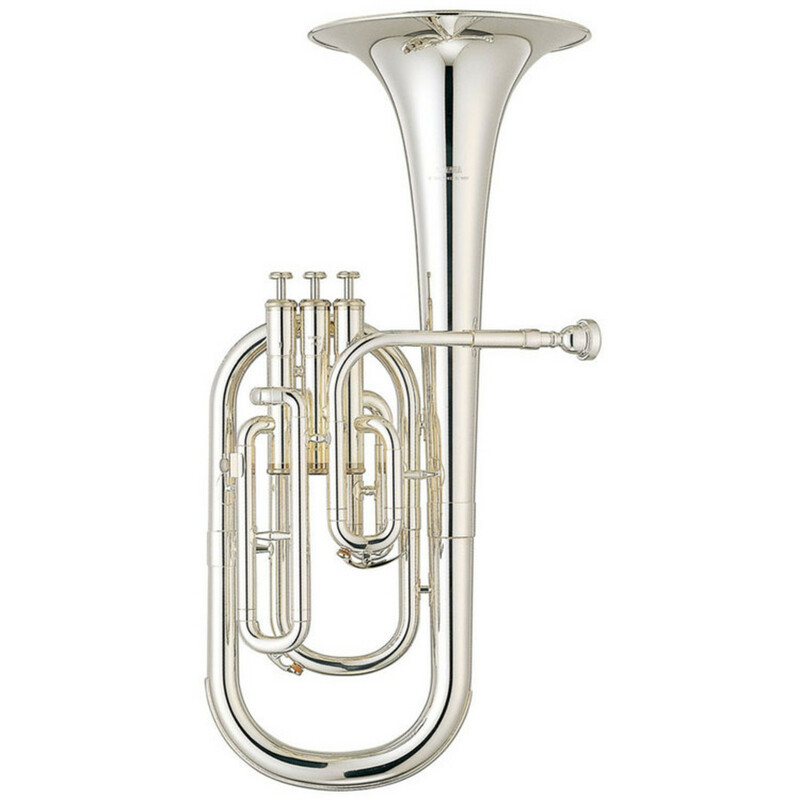 Because of the larger size, tenor horns have a heavy bass end with little high frequencies, making it most suited to accompanying other instruments. The Yamaha Neo range tenor horns are able to balance the bass frequencies for a sound that retains its articulation.